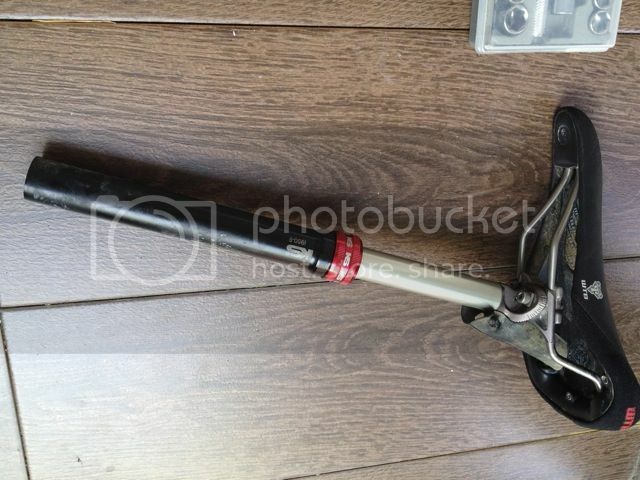 Hate and love about this KS i950R seatpost. Hate because it failed numerous times just before the climb or drop. Love because it made trail riding a breeze when it works. 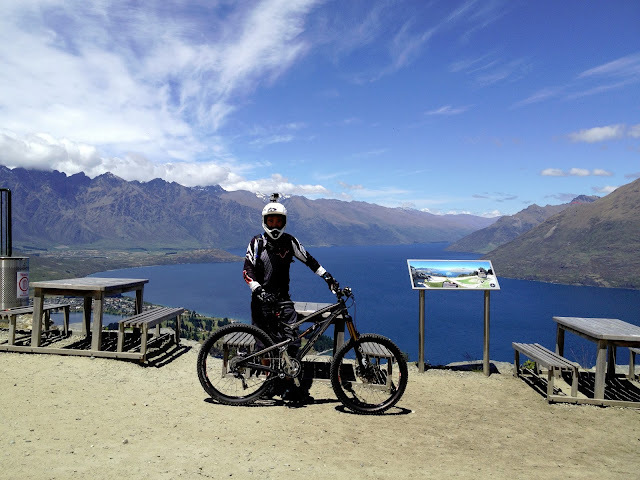 The first problem I encountered was the design flaw, where the opening to the lever that actuate the post is located directly on the trajectory path of the flying mud (from the rear wheel). Mud accumulated overtime around the actuator, jamming the lever when you most needed. 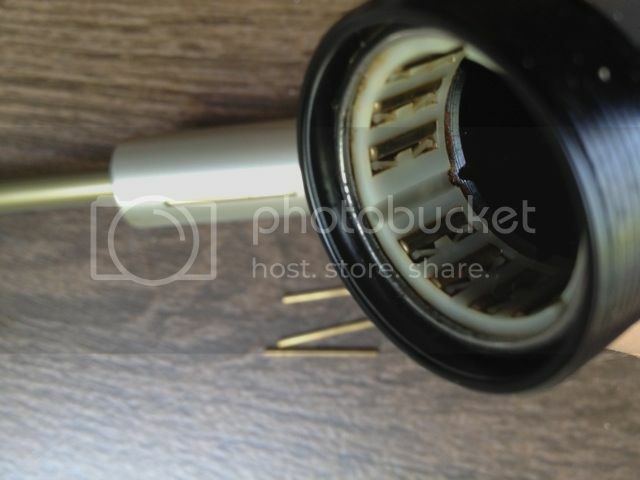 The flaw was rectified when the hole was covered with a used tube and secured by a cable tie. Click here if you want to know how I did it. 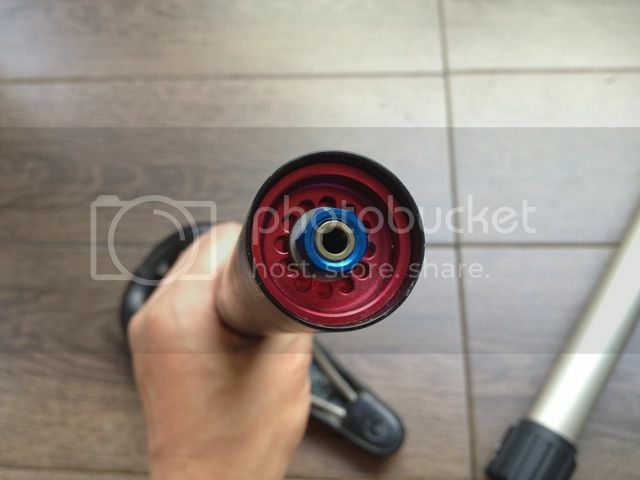 After a year of abuse, the KS i950R seatpost became retarded and refuse to rise. Time for servicing! 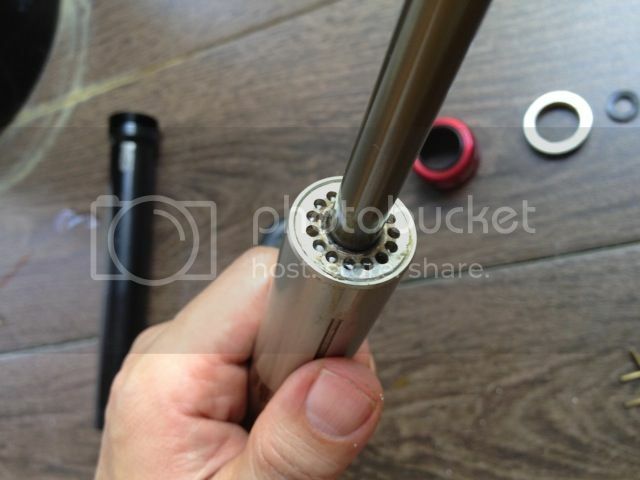 Servicing the KS i950R seatpost is easy, as long as you have a 11mm socket wrench and a needle nose plier. Removed the blue nut with a 11mm socket wrench by turning anti-clockwise. Remove the red cap with a needle nose plier by turning anti-clockwise. Be careful that a small amount of oil inside the red cap may flow out. For my case, the inner shaft was dirty and dry, meaning the seatpost was long overdue for servicing. Remove the red collar and pull the inner mast assembly out from from the main mast. 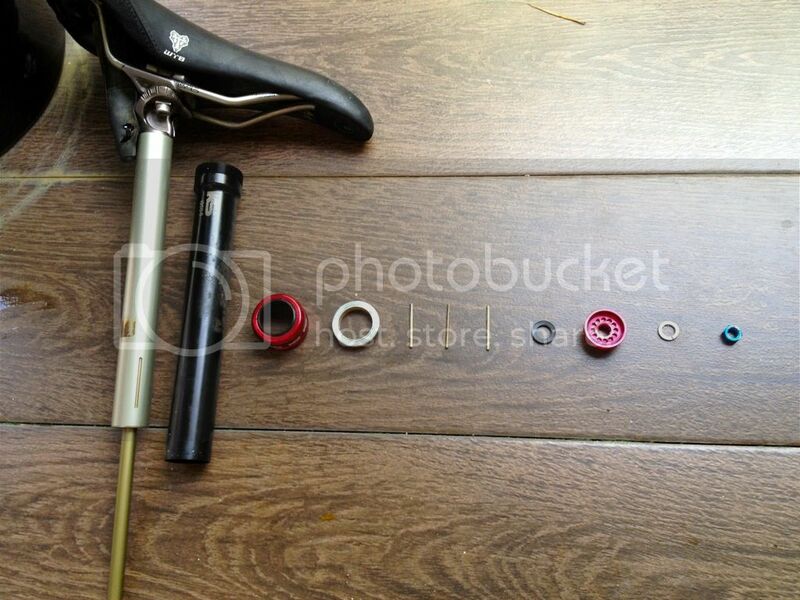 Place all the components and assembly in an orderly manner as shown on the left photo. This will ensure none of the item misplace. Clean all the components thoroughly with a piece of clean cloth, and lube all the threads. 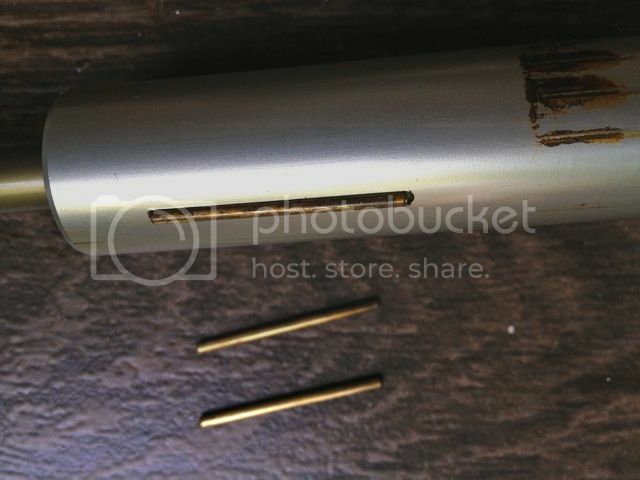 Special care must be taken to remove the 3 guide bushings from the shaft. Clean, lube and put it back onto the grooves. Most of the stain and dirt will be accumulated on the roller bearing. Thoroughly clean the roller bearing and generously grease it to ensure flawless operation during the ride. Clean and lube the inner shaft thoroughly. 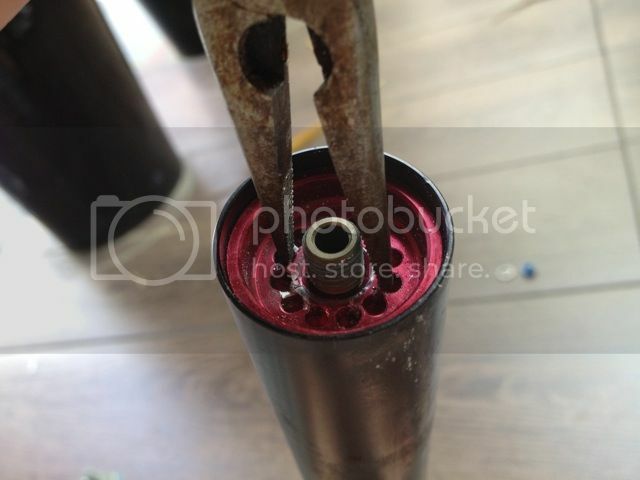 Re-installed the 3 guide bushing and carefully insert the inner shaft into the outer shaft. Ensure the guide bushings are aligned with the grooves of the roller bearing before the inner shaft is inserted. Pour about 20ml of oil into the lower end of the main shaft. Grease the thread of the red cap and blue nut before re-installed them onto the shaft. Re-installed the KS i950R seatpost on the bike, and they are ready to go! 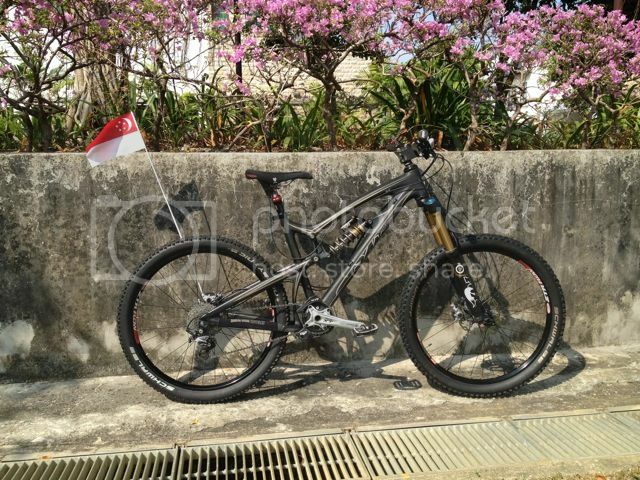 Test ride outside my house, the movement of the seatpost was butterly smooth! bro i got a hard time opening the red cap! my nose plier keep slipping n end up i stopped doin it! Try to find a nose plier that fit nicely onto the holes of the red cap. 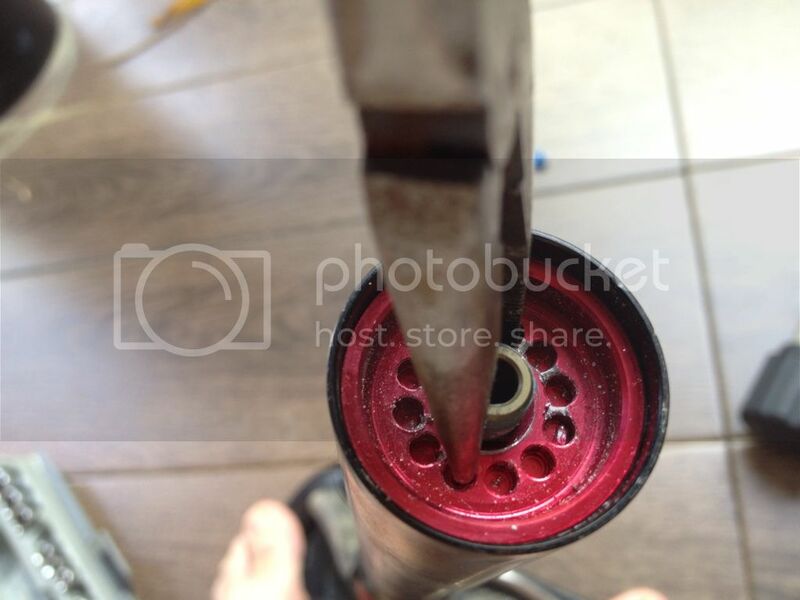 If possible, hold the seatpost on a vice clamp to keep it steady while turning the red cap. Last solution, press the nose plier hard onto the holes and turn it with a flat plier. Good luck bro! What oil should you use when filling up the shaft? Any wet lubricant should be good. 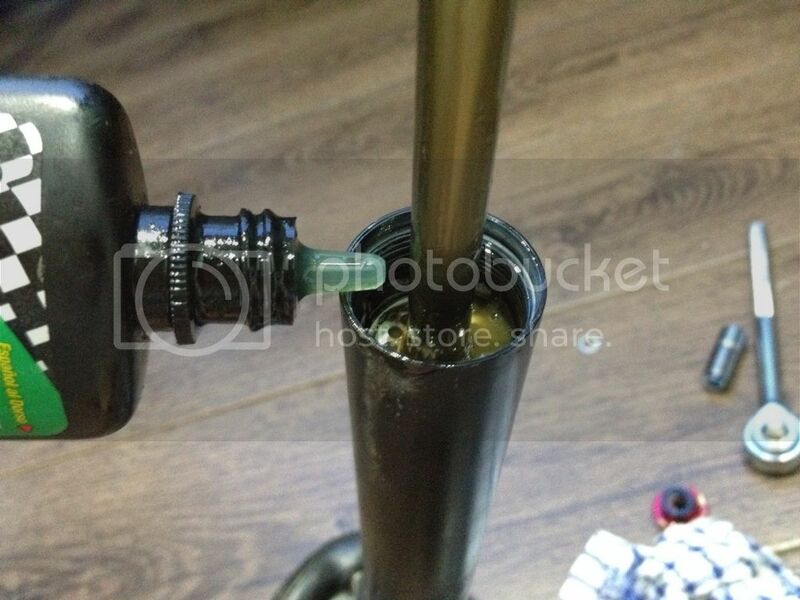 I used wet Finishing Line (Green bottle) lubricant to fill up the shaft. The last servicing done was August last year, and it was running smoothly till this date. My blue nut wont come lose - is this normal? Well, over tighten of nut is never normal. You need to get a proper wrench to unscrew it. Good luck. My red knob wont come out. Even my pliers are bent. Any solution? Whats the proper tool anyway? I didn't need to remove the red slotted cap. I removed the blue nut and the upper sleeve, and was then able to pull the upper seatpost from the lower, and separate the two halves. 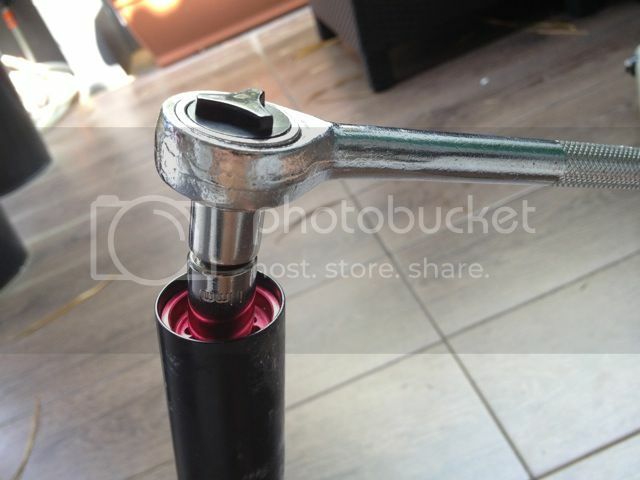 It will be difficult to pour oil into the shaft without removing the red slotted cap. If you are using the remote version, check the cable for correction tension and ensure the actuator level is free of dirt and dust. 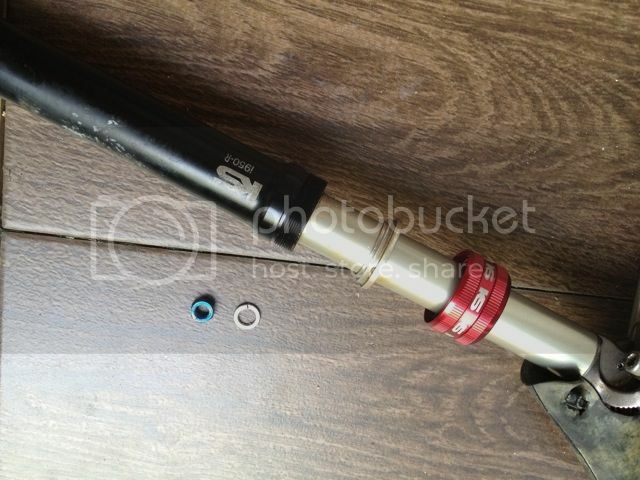 If all fail, service the seatpost as illustrated in this post. Good luck bro! What kind of grease are you using? Any wet lubricant should be good. I used wet Finishing Line (Green bottle) lubricant. Ks i950-r no neet to pump?? Hi. How do you fill an air into it? Thank you.